I’m so fed up of snow and ice now that I thought this week I’d go for a more summery theme for my Photo of the Week post, a nice flower! 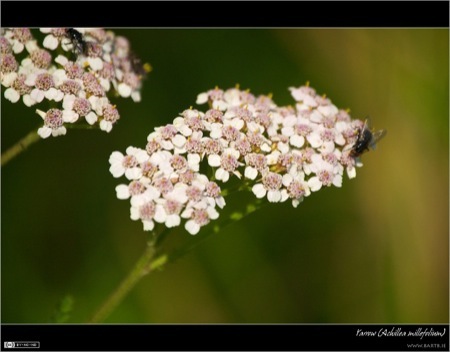 To be more precise, a closeup of a Yarrow (Achillea millefolium) flower. These lovely white flowers grace Irish hedgerows in the late summer each year. Before you post a comment please remember that commenting on my blog is a privilege not a right. I won't approve comments that are obscene, offensive or insulting. For more info please read this post.